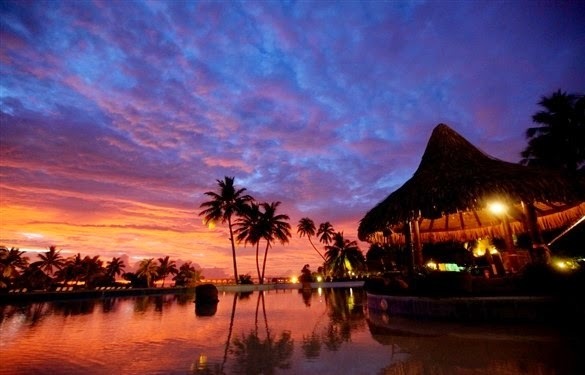 Fab Fete Event Planning Boutique Blog: Top 10 Honeymoon Destinations! After all of the hustle and bustle of planning a wedding, it is refreshing to know that your perfect honeymoon is just around the corner. The small island of Bora Bora overflows with beauty. Dormant volcanoes rise up at its center and fan out into a lush jungle before spilling into an aquamarine lagoon. The very definition of a tropical getaway, blissful Bora Bora abounds with luxurious resorts, sunny skies, warm waters, and friendly locals. With its turquoise waters, glittering sands, and luxe resorts, Fiji is the perfect destination for a romantic honeymoon. Celebrities themselves come to Fiji to take in the breathtaking scenery and beautiful backdrops. Plus, adventure-seekers, like surfers and divers, appreciate the island’s decent waves and coral reefs. You'll be as far from reality as possible when you're sipping Fiji Bitter Beer and watching the sun dip below the horizon. Want to go somewhere that feels beautifully close to paradise? Fiji is the place to be. Without a doubt, Jamaica is the heart of the Caribbean. The birthplace of reggae music, the Rastafari movement and all-inclusive resorts, Jamaica symbolizes a place of togetherness and a totally laid-back atmosphere. Come to the land of sugar cane, coffee and limestone, and take in the majesty of Dunn’s River falls and foamy cream-coloured beaches. Jamaica is also known for unique cuisine that fuses flavors and ingredients from different cultures. It’s the perfect place to see amazing things and try new foods, and perfect for couples looking for an adventure. Maui is one of the most popular islands in Hawaii as it offers a taste of just about everything the Aloha State has to offer, from impressive wildlife to intriguing history and culture. While on a visit here, you can sway alongside professional hula dancers, golf along coastal fairways, snorkel alongside five different types of sea turtles or simply lounge on some of Hawaii's most notable beaches. 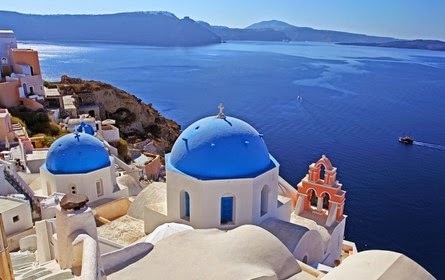 Breathtaking Greece is your perfect destination when it comes to exquisite beaches and rich history. Make it a priority to visit Athens, if you want to learn about the rich history that’s embedded in the land. The Parthenon, Temple of Olympian Zeus, and the Acropolis are just a few of the major landmarks in Athens, and there is tons to see and do, including visiting the museums and rich gardens. Wherever you dine, you can be sure to sample authentic Greek cuisine, such as moussaka (lamb and eggplant in béchamel sauce), paithakia (grilled lamb or goat chops), and traditional Greek souvlaki with tzaziki sauce. After you’ve wined and dined, remember to save time to hit the colourful beaches! Turks & Caicos is the perfect getaway destination to celebrate your newlywed status and the end of all of your hectic wedding planning. With white sand bordered by shimmering azure water, colorful coral reefs, and crispy conch fritters, Turks & Caicos represents an easy, light-hearted atmosphere. Tiny, flat Salt Cay plays host to the best dives: From here, you can explore one of the largest reef systems in the world. Keep in mind that rainy season is from June to November, so hotels and airlines will slice their prices by as much as 40 percent during this period. 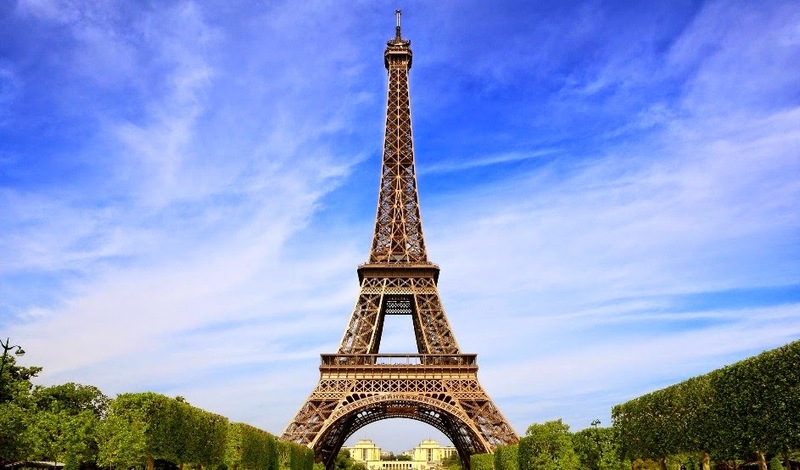 What better way to celebrate the love between you and your new spouse than heading to the city of love itself! Paris, in particular, is full of life and shimmering romance as you stroll the streets hand in hand, or have afternoon tea in a local bistro. The City of Light draws millions of visitors every year with its unforgettable ambiance. Of course, the divine cuisine, stately museums, centuries old churches and vast art collections are also a must. No matter where you choose to dine, be sure to sample some French staples like soupe à l'oignon gratinée (French onion soup), croque-monsieur (a grilled cheese and ham sandwich smothered in more melted cheese), and coquilles St-Jacques (seasoned scallops topped with cheese and bread curmbs served in a shell). If you have a sweet tooth you should make room to try some elegant French desserts such as macarons, chocolate croissants, or crêpes filled with Nutella to bananas and berries. Bon appetite! Miles of shoreline, dozens of resorts, French cuisine to die for—Tahiti has all the makings of the perfect honeymoon destination. Here, the quirky, often chaotic atmosphere of the island's capital, Pape'ete, rubs elbows with uncorrupted natural beauty. In fact, Tahiti—the largest of French Polynesia's 118 islands—is often referred to as two separate islands despite them being joined by a tiny land bridge. 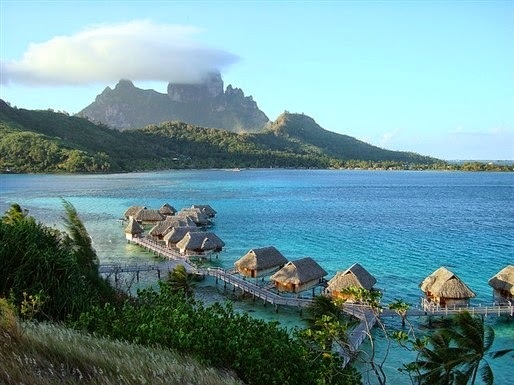 Note that spending a week on either part of Tahiti will cost you a pretty penny, but travelers agree that the warm waters, the lush jungles, and the luxurious resorts are well worth the splurge. On your way to Tahiti, also make sure to brush up on your French, s’il vous plait. The islanders speak both French and English, but the majority of the locals speak only French. Italy is also very rich in history and culture, and cities like Rome, Venice, and Florence are beautiful spots to go honeymooning. Whether it's the mystery of nearby Vatican City or the ghosts of the Colosseum, an afternoon caffè on Piazza Navona or a piled-high plate of pasta at a trattoria, Rome is sure to enchant. Florence is also a beautiful place to visit. This little city, tucked amid the Tuscan hills, is full of Italian history. With fashionable Italians and chic shops, you might think you had traveled back in time to the 14th century. But Renaissance art is not the only reason to come: You’ll also visit Florence for its gorgeous sunsets, its Italian cooking and its unbeatable romantic charm. Venice is enchanting, and once you see the "City of Water" for yourself, you'll surely agree. Water taxis bob along the Grand Canal, drifting underneath the Ponte degli Scalzi (Bridge of the Barefoot). You might hear the faintest hint of a serenading violin, and romantic gondolas carrying smitten couples coast along the web of waterways. Things to keep in mind? Leave the diet behind. Italian cuisine is full of heavy rich pastas such as fettuccini, linguini, and mouth-watering ravioli. Lapped by the Indian Ocean, straddling the equator, and with Mount Kenya rising above a magnificent landscape of forested hills, and wooded savannah, Kenya is a richly rewarding place to travel for your honeymoon. The country’s dramatic geography has resulted in a great range of natural habitats, harbouring a huge variety of wildlife, while its history of migration and conquest has brought about a fascinating social panorama, which includes the Swahili city-states of the coast and the Maasai of the Rift Valley. Kenya’s world-famous national parks, safaris and the culture of tribal peoples will enlighten you. You’ll find warmth and openness, and an abundance of superb scenery – rolling savannah home to Maasai herds and wild animals, highlands grazed by cattle and sheep, and dense forests full of monkeys and birds. Kenya, beautiful and rich in land and history will be a perfect honeymoon spot for the adventurous bride and groom.